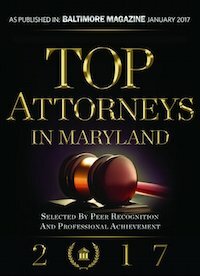 Practicing Civil and Criminal law in the State and Federal courts of Maryland, Virginia and Washington, D.C.
Hartel, DeSantis & Howie, LLP is an established AV-rated law firm of aggressive litigation attorneys. The firm practices litigation in Maryland, Virginia, and Washington D.C. Our partners have over 85 years of combined experience litigating in these jurisdictions. We have offices in Maryland and Virginia. Hartel DeSantis & Howie, LLP provides professional, personal, and cost-effective legal services in a wide variety of practice areas. Our attorneys have the experience, the knowledge, and the sound judgment to fully advise our clients of their legal rights and options, and to protect our clients' interests to the fullest extent of the law. This website provides more detailed information about Hartel DeSantis & Howie, LLP. You are welcome to contact any of our attorneys regarding your legal needs.